"Your soulmate is out there - you'll find him when the time is right." Paladin has released an official trailer for an indie romantic comedy titled All I Wish, from writer/director Susan Walter. This film also goes by the title A Little Something for Your Birthday, which is why it appears on the poster below. Sharon Stone (who we haven't seen much of these days) stars an aspiring fashion designer struggling to find success or love, until unexpectedly she meets her match on her birthday. Oh boy. The cast includes Tony Goldwyn, Famke Janssen, Ellen Burstyn, Gilles Marini, Liza Lapira, and Leonor Varela. Yeah this definitely looks as bad as it sounds, don't even bother unless you really, really, really want to see Sharon Stone again. An aspiring fashion designer (Sharon Stone) struggles to find success and love. The story cuts into her life once a year, always on the same date: her birthday. 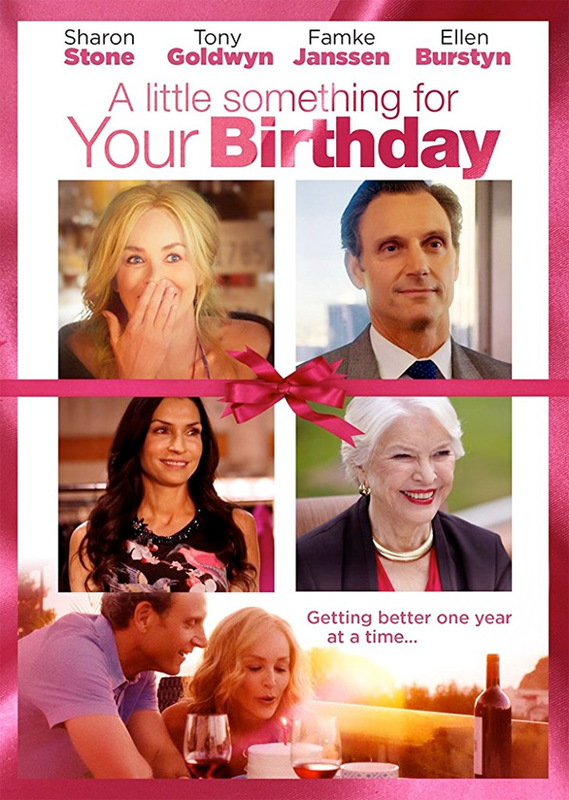 All I Wish, also known as A Little Something for Your Birthday, is both written and directed by newcomer filmmaker Susan Walter, who first started out in the DGA Assistant Directors Training Program before breaking in writing scripts. This is her feature directorial debut. This has not premiered at any film festivals or otherwise yet. Paladin will release Susan Walter's All I Wish in select theaters + on VOD starting March 30th, 2018 in the next few months. Anyone interested?